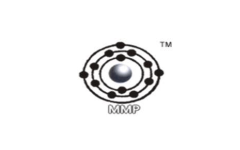 Business description - MMP Industries is engaged in manufacturing of aluminium products at locations at and close to Nagpur. The company’s aluminium product range includes pyro and flake aluminium powders, atomised aluminium powders, aluminium pastes, aluminium conductors (all aluminium, alloy aluminium and aluminium steel reinforced). Its Unit I and Unit IV (NPM Industries) are engaged in the manufacturing of aforesaid Products while Unit III (Mars Industries) is engaged in the manufacturing of manganese oxide and di-oxide powders and Unit II (H.M. Engineering) is engaged in job work of sheet metal components for a Group Entity, Star Circlips & Engineering Limited. The company has entered into a Joint Venture with Toyo Aluminium K.K. of Japan for the manufacturing of specialty aluminium pastes in a new company ―Toyal MMP India Private Limited. Manufacturing of Pyro and Flake Aluminium Powder with the installed capacity of 1800 MTPA . Manufacturing of Aluminium Foils with the installed capacity of 5000 MTPA. Through this diversification into aluminium foils, the company will be manufacturing foils for use in pharma packaging, flexible food packaging and foils for use in households. Aluminium foils will be its first product to be directly used by consumers. MMP Industries IPO allotment status is now available on Bigshare Services' website. Click on this link to get allotment status.